Hand-lock anchorage - feet rest firmly on the floor. Outboard axle wheels for increased stability. Caution notice warns of safe operational procedure. EN131-7 compliant, 150kg load capacity. Tool trays, baskets, access gates available to special order. N.B: When specifying the correct size, the optimum operator working height is 1.5m above the platform height. N.B: Please check your measurements - select a platform height 1.5m below the working height. Returned steps may incur an additional re-stocking charge. Warehouses can be challenging places to work; it is important to make sure your employees can work comfortably and safely at height and this can be achieved with the right choice in steps. 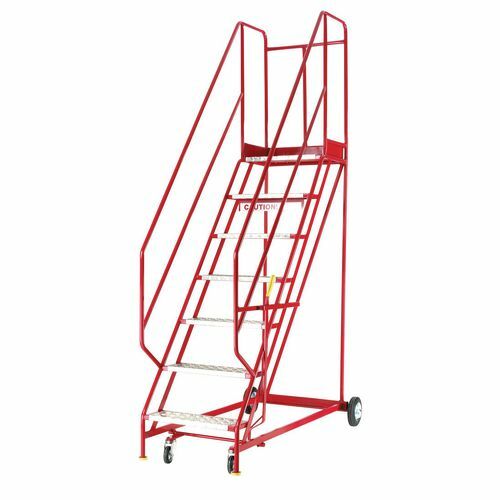 Our heavy duty warehouse steps with aluminium treads are a great addition to the workplace to help employee's complete tasks safely at height. 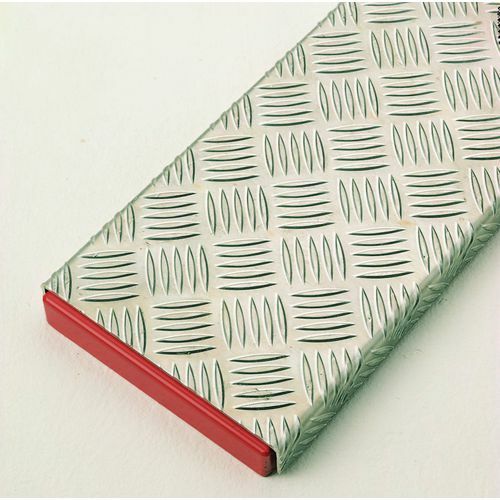 They are manufactured from heavy duty tubular steel with extra wide 560mm treads. Outboard axle wheels increase the stability of the steps for the user, helping them to feel comfortable and confident while using the steps. The hand-lock anchorage rest the feet firmly on the floor and the 100mm toe board enhances safety. 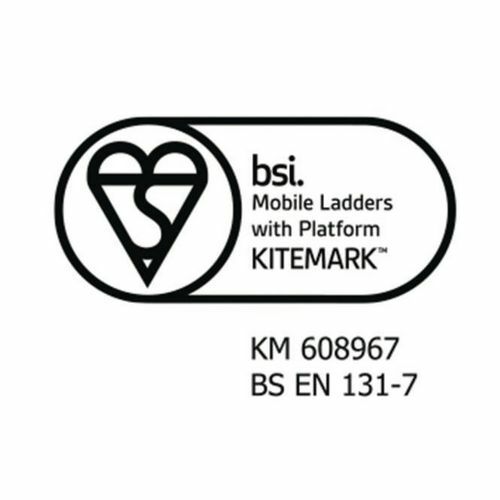 A capacity of 150kg means these steps are suitable for most users and a caution notice warns of safe operational procedure to help protect employees. They are available in choice of 14 platform heights; 750, 1000, 1250, 1500, 1750, 2000, 2250, 2500, 2750, 3000, 3250, 3500, 3750 or 4000mm. 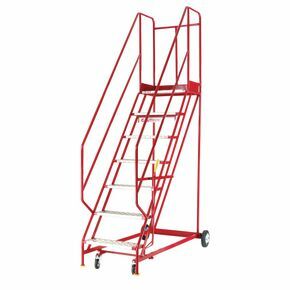 Our heavy duty warehouse steps with aluminium treads are ideal for helping employees work safely at height. They come with a 12 month guarantee and FREE UK Delivery.